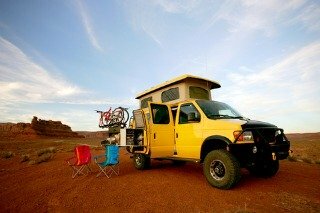 So, what makes a pop top camper van so unique and versatile more than any other vehicle? 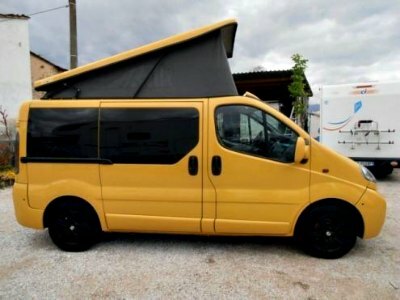 It's the compact size of a van with the addition of a fiberglass or aluminum pop top roof which, when opened with the sides surrounded by different canvas materials (cotton, Airtex, etc), gives a normal van full standing height inside and an extra double bed on the top. 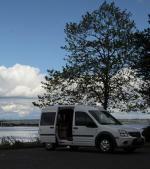 As a result you get a compact, fuel efficient multi purpose adventure vehicle. Equipped with all the basics such as a cooler, cooker, running water, cupboards, closets and a table with front swiveling seats for those sociable mealtimes. It can either be your daily driver or your adventure companion, taking you far away from the crowds. Add a four wheel drive to all the above and you'll get a perfect and compact adventure vehicle! 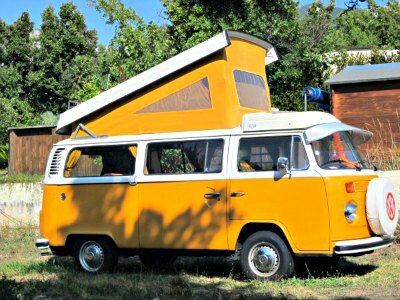 The concept of the pop top camper was introduced back in the 1960's on Westfalia camper vans and fifty years later, nothing has surpassed its versatility. 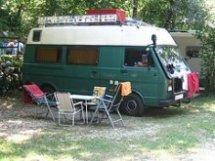 I was a small kid back in the 1970's and as far I can remember, I had a soft spot for those Westfalia camper vans back then. Our family used a camping tent at the time, and whenever the rain poured down, the idea of staying in one of those cozy camper vans was of course more then inviting. In fact, I have always been attracted by compact and efficient solutions of any kind, so when I stepped in the camping van world, the choice was obvious. 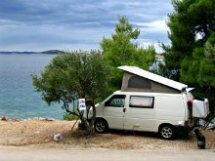 Pop top camper vans are found based on different types of vans today. 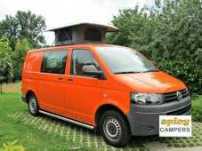 Volkswagen van has been the number one choice for this type of camper van conversions since the 1960's, while a few other conversions use other base vehicles. 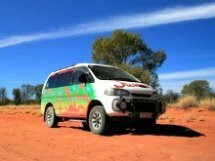 The Mazda Bongo and Toyota HiAce and a few others represent the Japanese versions commonly used in Australia and New Zealand. Americans do things their own way and Sportsmobile, GTRW and Pleasure-Way represent the American-style versions. A bit larger then similar European or Japanese vans, with plush upholstery, quality workmanship, and the ability to build your camper van the way you want based on Ford, Chevy/GMC and Sprinter vans. A few smaller models are available, the smallest of the bunch based on MPV's such as the recent Citroen Nemo and converted by one of the British finest, the Romahome. 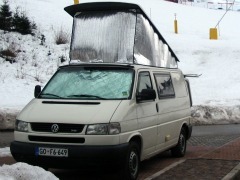 How about a homemade camper van? The German Reimo has over 30 years of experience in the pop top business and a few dealers around the world. 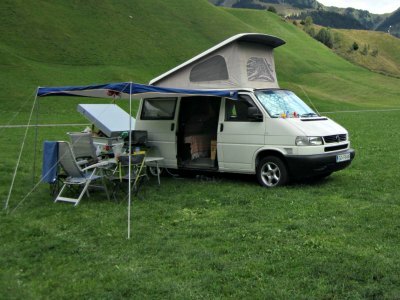 Besides converting their own vehicles, they also provide just about anything you need to build your camper van, including pop top and high top roofs. Or check on eBay to source out used roofs, furniture or anything else you might need. The German SCA is another company you might consider, if you're looking for pop-top or high top roofs. Depending on the conversion company, the pop top roof can open in a V-shape either up in the front or in the back, sideways and fully erect versions are also available. The sides are made from durable fabric materials and include large windows with integrated mosquito nets. 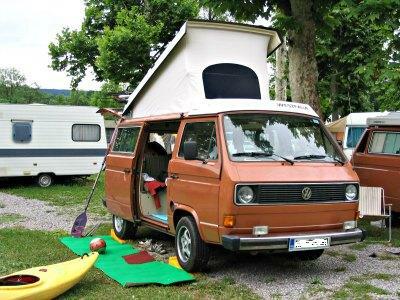 The interior layout is more or less standard for most camper vans of this type, with the kitchen cupboards and storage room running along the drivers side, the rear bench converting into a double bed and the swiveling front seats creating a small, but comfy lounge with one or two swiveling tables. Depending on the conversion other layouts are available as well. My wife and I use the top bed to sleep on most of the time. We kind of enjoy the close contact with nature that way and have plenty of fresh air that we both love so much. Sleeping on the top bed actually feels like sleeping in a camping tent with a mattress and a hard roof on top. Our pop top also let's us hop from one ski slope to another in the winter. 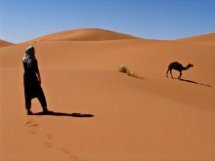 We carry a Porta Potti (portable toilet) with us at all times for our needs, neatly located in the van and the Eberspacher heater keeps us warm at night. To keep the opened roof warm, I simply bought a large piece of inexpensive external, 7-ply insulation foil for campers, cut it to size, sewed the border strip around it and Velcro-strips on the back to zip it all together. Do to the fact that pop tops don't have a shower, we have to use other facilities on the way. We usually find a public swimming pool or check out the local spa near our stopovers. But there are a lot of winter campsites open all year around, so we kind of combine everything together. 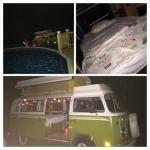 A pop top camper van can sleep up to four people. But the truth is that it's comfortable for a couple or a couple with a small kid or two. It's not a large vehicle, so therefore has only so much room inside. But active and practical folks that enjoy the great outdoors, appreciate what it has to offer. Being the size of a family car, it's easy to drive, easy to park, easy on gas and will take you just about anywhere you want to. It has more room inside then any other vehicle its size and do to the low profile, you can park it in almost any garage. The pop top camper solution has been around for 50 years, because many people really appreciate the simplicity it offers. For some folks it might be just too small, while others wouldn't give it away for the world.